Florence anecdotes are fun snippets of information about little known facts that took place in the city of Florence. 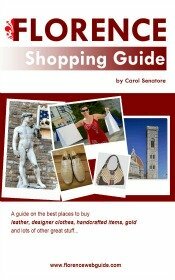 Reading these curious stories will surely enrich your knowledge of Florence and your visit here. As you walk the streets of the town, rather than just seeing a simple hotel or a historic café, you'll be able to recognize the location of a news-breaking event or the spot where a world famous photo was snapped. 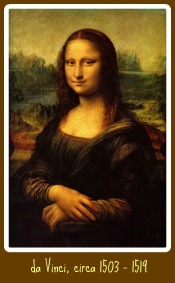 Most people have heard about the theft of Leonardo’s most famous painting, the Mona Lisa. But do you know how Florence comes into play in the story? In 1911 the Mona Lisa (or the ‘Gioconda’ as it’s called in Italian – the woman in the painting is Lisa Gherardini, the wife of Francesco del Giocondo, a wealthy Florentine merchant) was stolen from its home in the Louvre museum in Paris. The French police had no clue as to what had happened to the painting, and even Pablo Picasso was questioned as a suspect! Two years passed but the investigation into the theft was still going nowhere. The mystery was finally resolved in Florence in 1913. It turned out that an Italian employee at the Louvre, Vincenzo Peruggia (see pic below), had stolen the painting by merely hiding it under his coat and walking out of the building. But Peruggia’s goal wasn’t to make heaps of money by selling the masterpiece on the black market…..
What he wanted was for the painting to be placed where ‘it belonged’, in its original country of origin, Italy. After all, Leonardo was Italian, and the Mona Lisa was an Italian painting that Leonardo had started painting in Florence (although he finished it in France). According to Peruggia the work of art belonged in an Italian museum. All this came out when Peruggia went to Florence to try to talk to the director of an art gallery or museum. He was hoping – quite naively - to be rewarded for returning the painting to its home. Peruggia got an appointment and was meant to hand over the painting to the director of the Uffizi museum, Giovanni Poggi. The meeting took place at a hotel in Florence, which at the time was called the ‘Tripoli’ hotel. Peruggia was staying at the hotel, in room number 20. Today this hotel still exists, a three star hotel called ‘Hotel La Gioconda’ right in the heart of town in via Panzani, 2. A plaque has been placed on the door of room 20 commemorating the spot where the da Vinci masterpiece was returned to the authorities. 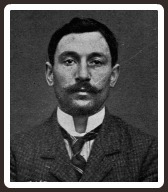 Although he served a short prison sentence for the theft, Peruggia went on to become a national hero for his patriotism, and also fought for the Italian front in World War I. Year 2013 will mark the 100 year anniversary of the return of the famous work. Currently a campaign is being run in Italy to promote the return of the Mona Lisa to Florence in year 2013 to remember the patriotic theft of a Renaissance masterpiece. The petition has reached global proportions with art historians and critics from all over the world signing on and backing the return of the ‘Gioconda’ to Florence, albeit only for a temporary exhibit. Indeed, the painting does belong – legally – to the French, since it was Leonardo himself who gave it to King Francis I of France, under whose patronage Leonardo was working. Who hasn't seen this famed photo of a young American girl walking the streets of Italy in the 1950's? But did you know that it was shot just outside of café Gilli, one of Florence's oldest and most historic pastry and coffee shops? The young woman in the picture is Ninalee Craig. Craig was 23 at the time of the photo and a woman traveling around Italy on her own, not a common sight in post-war Europe. While staying at a cheap hotel just off the Arno, Ninalee met Ruth Orkin, a freelance photographer who also happened to be a single woman travelling alone. The two decided to set out and do a photo shoot around Florence on what it was like for a single woman travelling in Italy. The iconic street scene was just one of the many photos shot that day, but the only one to have become legendary. Craig was interviewed in 2011, the year of the 60th anniversary of the photo. Craig was also asked about the accusations that the photo might have been staged. “Absolutely not!” she replied. She went on to explain how the photo was shot in 30 seconds, capturing the spontaneity of the moment, which is part of what makes the photo so unique. Over 60 years have passed since then, so what happened to Ninalee Craig and Ruth Orkin after their Italian adventures? Ninalee ended up marrying an Italian, a man from Venice, and lived for some time in Milan. The couple eventually divorced and Ninalee re-married a Canadian. She lives in Toronto today but one of her sons lives in Italy and teaches at the University of Bologna. Ruth Orkin went on to co-write and co-direct the 1956 Oscar nominated film ‘Little Fugitive’. She passed away in 1985. According to the New York Times ‘an American Girl in Italy’ is the second most published photo of all time (after ‘the Kiss’) – and it was taken right in the heart of Florence, outside cafè Gilli in piazza della Repubblica.